Based on the popular and proven Buck Mark Pistol, the Browning Buck Mark Rifle is one of the most unique rimfires ever produced. These nifty little rifles offer everything you need: dialed-in ergonomics, fast handling and modern styling. 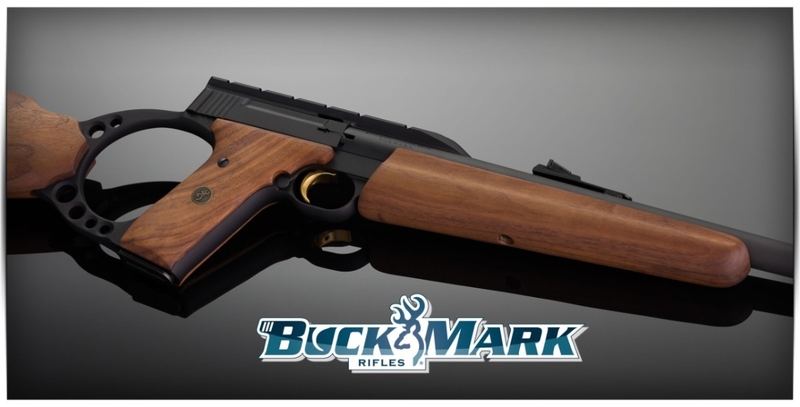 Plus, like their namesake, the Buck Mark Rifles provide outstanding accuracy, dependable blowback operation, a crisp single-action trigger pull and magazines that are interchangeable throughout the Buck Mark line. Take a Buck Mark Rifle afield, and you’ll immediately appreciate the lightweight, compact design that comes to the shoulder fast and onto a target even faster. You will also appreciate these rifles on the range, where the easy to load magazine, reliability and superb accuracy makes an afternoon punching holes in paper an event that won’t soon be forgotten.